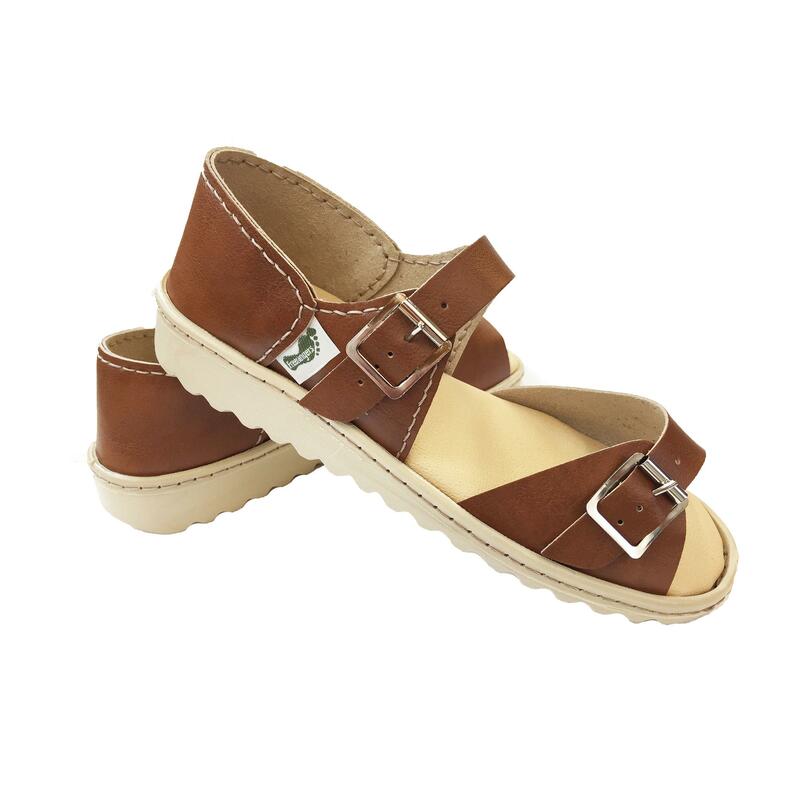 Traditional style ladies sandal but with full back for extra support. 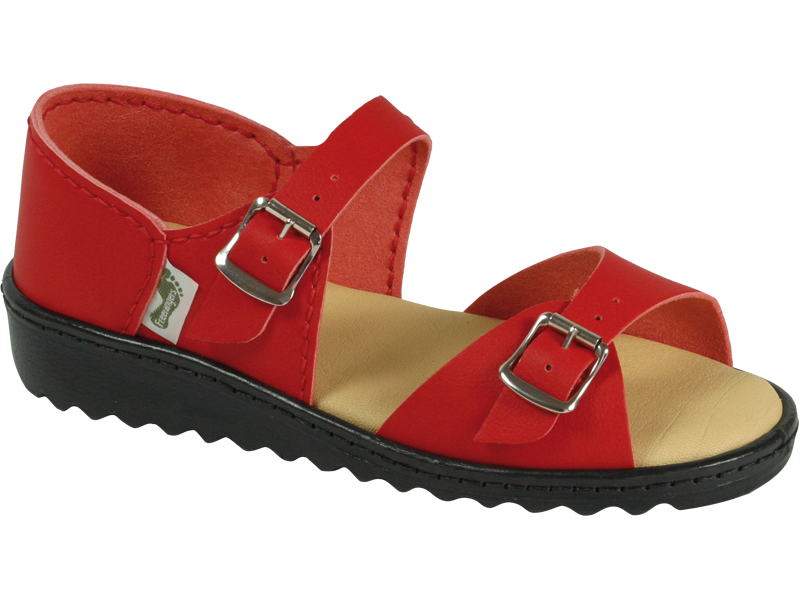 Features 2 buckle straps and padded insoles for day long foot comfort. Shown in Scarlet and Tan, also available in all our other colours.